Head for a nearby lake for the weekend, or point your Sportsmobile to more distant points breath-taking mountains, refreshing seashore, or the solitude of the desert. Better yet, just keep on going for the trip of a lifetime – Alaska or circle the United States with jaunts into Canada and Mexico. 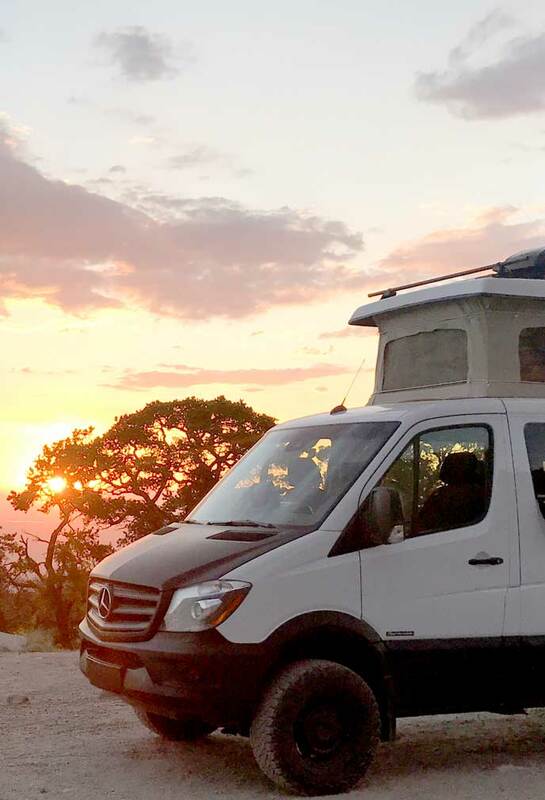 Some Sportsmobile owners continue their adventure for years! Unlike larger motorhomes, a Sportsmobile is far more than just a luxury purchase for occasional use. It’s a practical investment for everyday transportation, weekend enjoyment, and extended cross-country travel. Our surveys show that almost all Sportsmobile owners also use them as their first or second family car. City streets, back roads, and mountains are all taken in stride. And they’re easy to park!